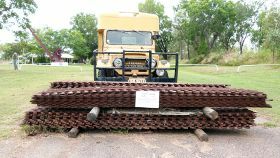 The Darwin City History timeline is short and dramatic and includes the Overland Telegraph, gold, crocodiles, world war bombings, uranium, cyclone Tracy and a population of hardy pioneers. The Captain of the Beagle, John Lort Stokes, discovered the habour in 1839 and named it after a former shipmate, British evolutionist Charles Darwin. Several attempts to establish settlements along the north coast were made at Port Essington, Raffles Bay and Fort Dundas without success. Then a new settlement called Palmerston was established on the site of present day Darwin in February 1869 by George Goyder, Surveyor-General of the Colony of South Australia. His assignment from the South Australian administration was to establish a settlement to facilitate pastoral expansion for that colony. Captain William Douglas chose the site for the Government Residence in 1870 and the town began to take shape. 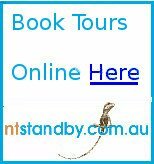 However the story of Darwin really begins with the necessity to establish a support route for the Overland Telegraph to the southern states of Australia. In November 1871, the 1100 mile submarine cable between Darwin and Banjoewangie in Java was laid. This in turn was connected through Batavia (now Jakarta), Singapore, Europe and London. During the construction of the Overland Telegraph Line between Port Augusta and Darwin from 1870 to 1872, line workers uncovered some alluvial gold near Pine Creek, about 200km south of Darwin. As we know, gold does strange things to men and the mining rush that followed set something of a precedent for the way Darwin has developed. The influx of miners and machinery passing through Palmerston (Darwin) led to the establishment of a railway to Pine Creek which was officially opened in September 1889. Although the line was extended further south to Birdum and Larrimah, it was finally closed in 1976. It took until 2004 for a rail link to be completed, allowing an Australian train to connect the North with Southern States. Aviation has played a significant part in Darwin's history. Ross and Keith Smith landed here to achieve the first flight from England to Australia in 1919. As early planes struggled with the distance from Europe, Darwin became a vital stopover airport. 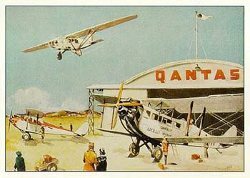 Visit the original QANTAS hangar at the site of the original Darwin Civil Aerodrome. This photo from the NT Archives shows the opening of a new Golf Club in Fannie Bay, probably around 1932. Life has never been "all work and no play" in the Top End. Darwin City History has been written in sudden large steps rather than an inch at a time. 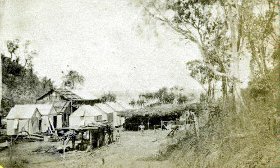 The Tennant Creek gold rush in 1933 provided another spurt for Darwin as men and equipment travelled to the goldfields. A pile of PSP from the war. A small team of engineers could build a 5,000 ft all-weather runway in 2 days using these interlocking, stamped steel planks. 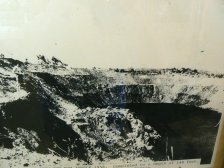 At the beginning of WW11 Darwin only had a population of 2000 and was extremely isolated with a small airport, unsealed roads to the rest of Australia and little infrastructure. 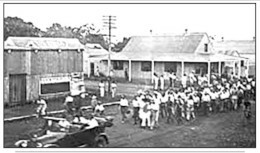 The bombing of Darwin by Japanese forces has had a lasting effect on Darwin, both in the destruction caused and the massive build up of the area by allied forces. To aid the war effort, the road to Alice Springs was upgraded and sealed, large military airports were built at Darwin and Batchelor and many smaller airfields were built. Adelaide River developed as an important strategic military base with ammunition dumps, supply depots and a hospital. The railway was strengthened to handle a massive incease in traffic and the rail bridge was decked to provide a wet season crossing for road traffic. 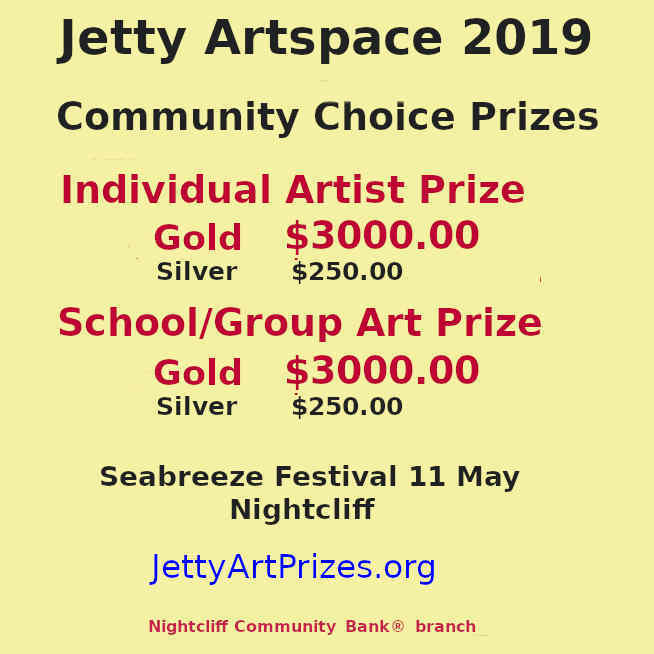 In the 1950's the development of iron ore and uranium resulted in a new wharf, an upgrade of the railway to Larrimah, establishment of the town of Batchelor and a boom in accommodation. 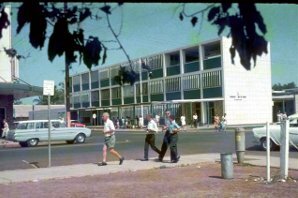 See this black and white photo postcard from around this time for a glimpse of Darwin in the 50's. The development of the Ranger Uranium Mine has provided the Arnhem Highway and the town of Jabiru, in turn opening up Kakadu National Park and tourism on a large scale. Through the 60's and early 70's Darwin continued to grow steadily. It was still very isolated with roads into the town cut frequently during the tropical wet season. Click here for more Darwin photos from that period. 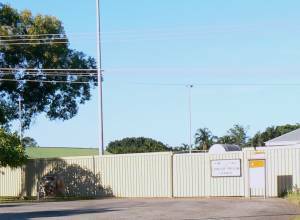 The Fannie Bay Gaol is one of the few buildings in Darwin that survived the winds of cyclone Tracy. An important part of Darwin City history since it was built in 1883, the antiquated cells and gallows are now a tourist attraction. And the biggest change was delivered in a few hours by Cyclone Tracy in 1974 when the existing town was nearly completely destroyed. The Cyclone Tracy Movie, made in 1986, is available as a DVD and contains around 9 minutes of original ABC news footage which drives home just how much this event changed Darwin forever. Many of the victims of the cyclone are buried at the Darwin General Cemetery and a visit can drive home just how much this destruction affected peoples lives. However the rebuilding that followed has left a well designed, modern city very few old buildings. In recent years major upgrades to Australian Defence Force strength in Darwin, Palmerston and Katherine have made a major impact on the city. With the announcement that up to 2,500 United States troops will also be based in Darwin this effect can be expected to grow over the next few years. The discovery of oil and natural gas in the Timor Sea in 1983 by BHP Petroleum has added to this momentum and will make an ongoing impact on Darwin City History. The new East Arm Port area is expected to develop as a marine supply base to service the LNG industry. In particular the development by INPEX and Total of the US$34 billion Ichthys LNG Project provided a major boost to the local economy from 2012 to around 2016. With the completion of the construction boom caused by the INPEX project, Darwin is currently experiencing a rather subdued economy. The NT government is experimenting with ways to cool and rejuvenate the CBD. 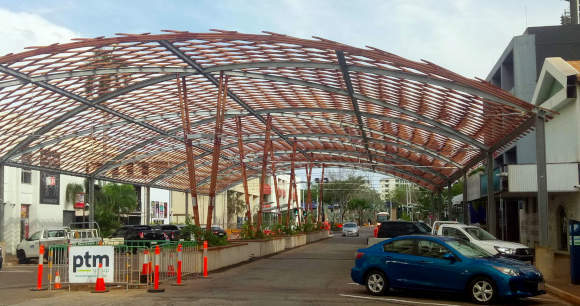 Shade structure to cool hot streets, maybe an indication of the next cycle. Read Personal memories of Darwin, written by the people who were here in earlier times.